Our mission is to give all children the opportunity to play the game of hockey regardless of the economic state of their family. FOH is involved in many community activities. Click here to view galleries from various events. 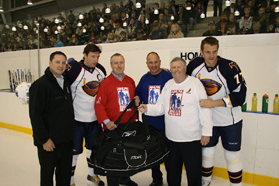 Dennis was instrumental in obtaining the initial support of the NHLPA Goals & Dreams program. Read more. Friends of Hockey was formed in 2009 to provide assistance to families who could not otherwise place their children in minor hockey. 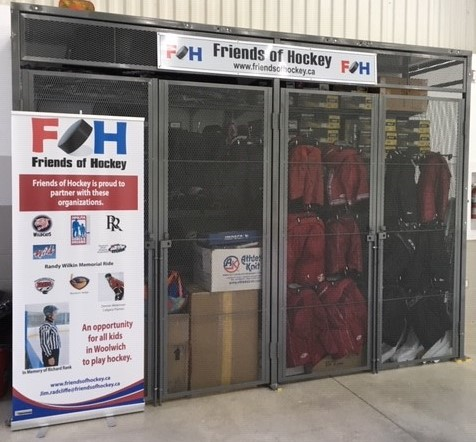 Upon inception of the FOH organization, the National Hockey League Players Association (NHLPA) agreed to fund 25 sets of new equipment each year through its Goals & Dreams program. FOH is a private organization that is proud to fund all or part of a child's hockey costs (registration, equipment, etc.) in the strictest of confidence. We believe that every child in Woolwich has the right to play hockey, and we want to help deserving kids lace up. For information about how you can donate either funds or equipment to FOH, see the Sponsorship/Donations page. Friends of Hockey hosts an annual equipment swap mid-August at the Annual Woolwich Fall Program & Sports Info Night that takes place at the Woolwich Memorial Centre. Each year, FOH has a great selection of new and used hockey equipment available for all ages and sizes. Read More. 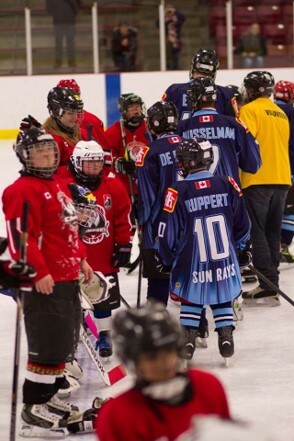 Friends of Hockey are proud supporters of the Woolwich Sunray Hockey Program.